Yup, I’m done size-wise. I wasn’t 100% sure after the fifth expansion, but I’m 200% sure now. 50ccs have been added to each expander, for a total of 450ccs/side. After the last expansion brought me to 400ccs, I was quite happy with the result and declared that this is what size I’d like to be after the exchange. However, the feedback on pre versus post-exchange size has been pretty consistent: when you think you’re done, do a little extra; implants sit different and will be a bit smaller than the expanders. So here we are, at 450ccs. What’s next? Two more expansions are in my future. My PS overfills by 100ccs in order to overstretch the skin and muscle. This ultimately gives a more natural result post-exchange surgery. Here they are after six expansions. This entry was posted in All, Expansions and tagged Beast cancer, breast reconstruction, health, Plastic surgery, Prophylactic mastectomy, Saline fills, Tissue expanders on June 9, 2013 by nope2BC. Your post cause me to get wiggly, guess because I’m just not bought into the idea of reconstruction and your blog puts it all in my face. A lot of uncertainty, mostly about radiation and then stretching etc., often I think about leaving it with no reconstruction but, don’t want to be lopsided. You’ve probably already considered this – is delaying the reconstruction to a later time an option for you? Until you are ready to move forward, whenever that would be, but after your skin has had time to recoup from radiation (not really sure how it is affected by treatment). 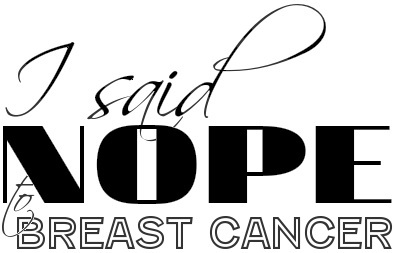 It doesn’t have to happen at the same time as the mastectomy and a prosthesis can help with the lopsidedness. Mogatos, “puts it in my face” is my gruff way of speaking about the general idea of the inevitable and I’m mad, not at your blog, at the concept overall. I appreciate your openness to share explicitly what you are going through. Those are some seriously perky girls there. I hope they aren’t too painful. You are getting closer to the finish line!